Advanced arch support and deep heel cupping for a Total Support System. Advanced arch support and deep heel cupping. The unique and patent pending 3-POD™ Cushioning System absorbs shock and helps prevent over-pronation - the leading cause of many common injuries such as plantar fasciitis. 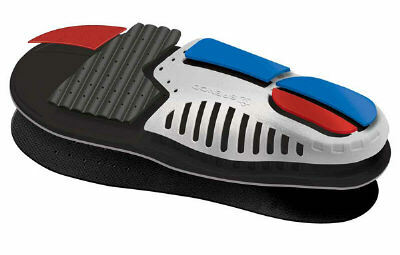 For additional support and protection, PolySorb® Total Support Insoles are heat moldable to provide a custom fit.